I need to sample the elevation at number of predefined location given in CSV format (but could convert to shapefile if needed). My input data is a shapefile of contour lines. Is it possible to sample the elevation directly? Possibly having to converting the contour to a DEM or other sort of raster. I've seen many questions regarding the opposite transformation (points to contour) but I can't seem to have been able to find this one. Use these points as input to Grass-module v.sample. This creates a new points file with an additional attribute containing your sampled raster values. Right click on it in the layer tree and Save as... csv. For further use you can put this all together with the graphical modeler. Not the answer you're looking for? 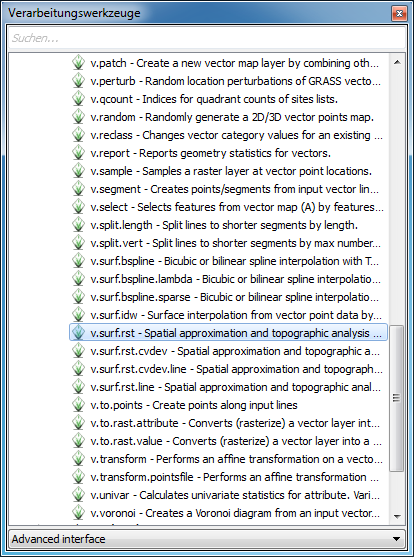 Browse other questions tagged qgis raster contour sample or ask your own question. How calculate areas between certain contour lines in QGIS? Accurately interpolating elevation from contour lines in QGIS?